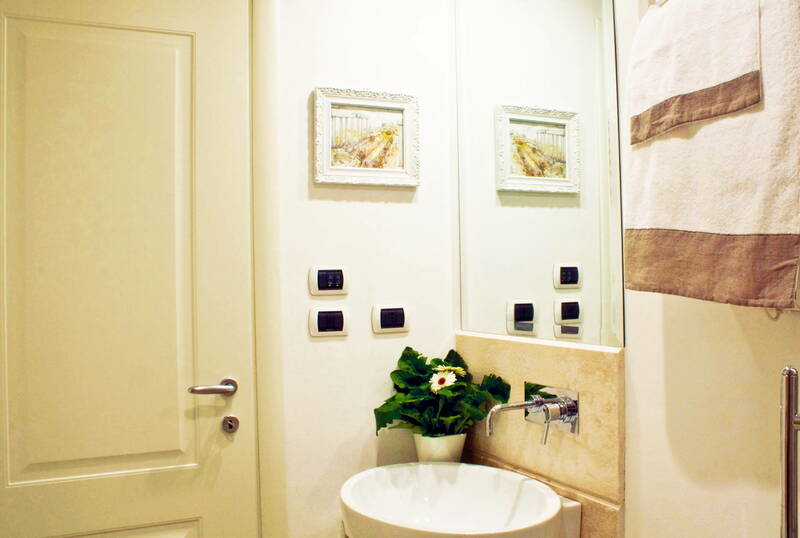 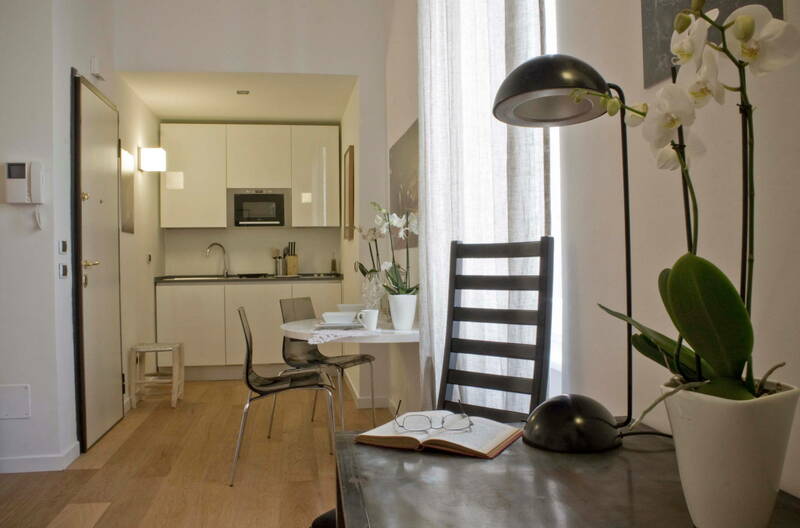 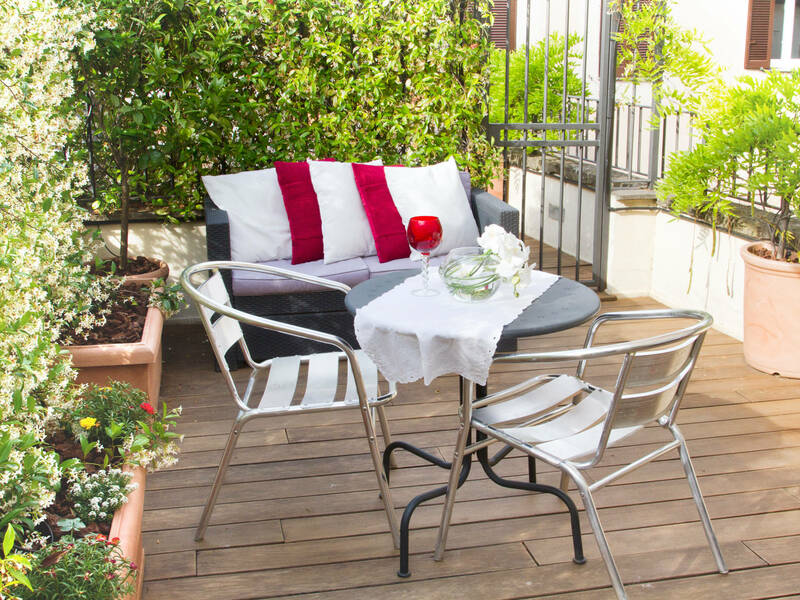 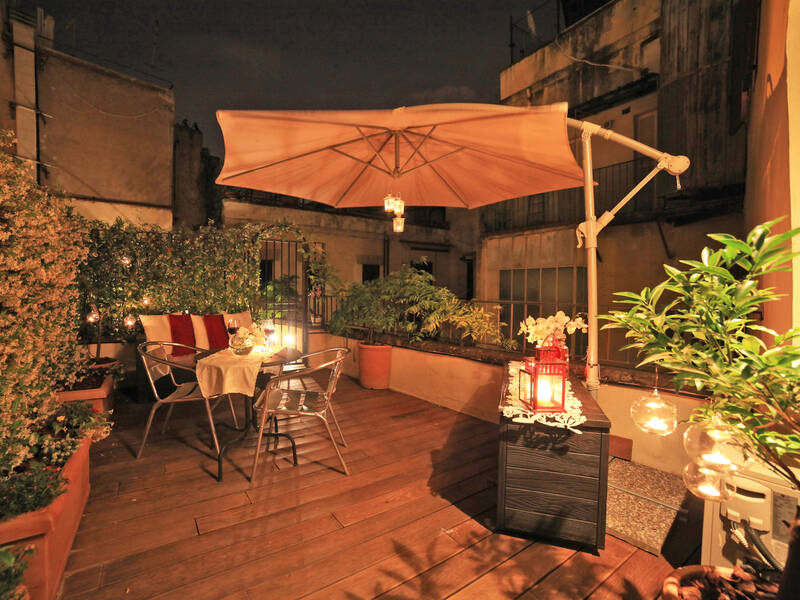 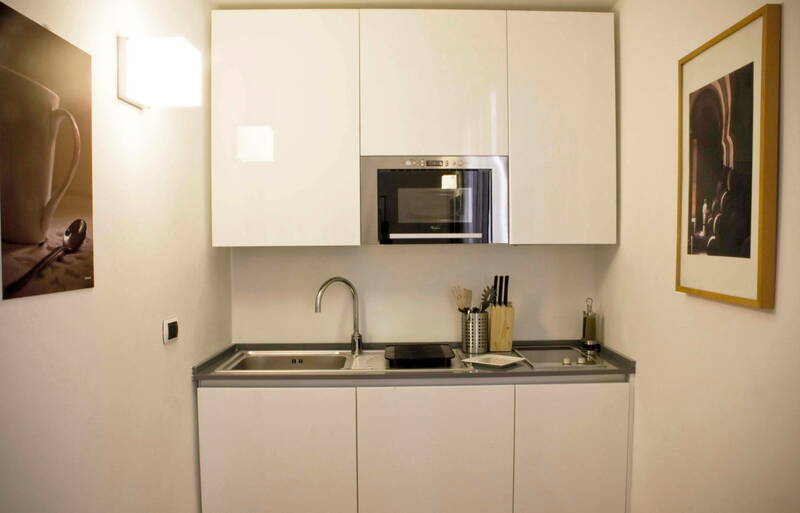 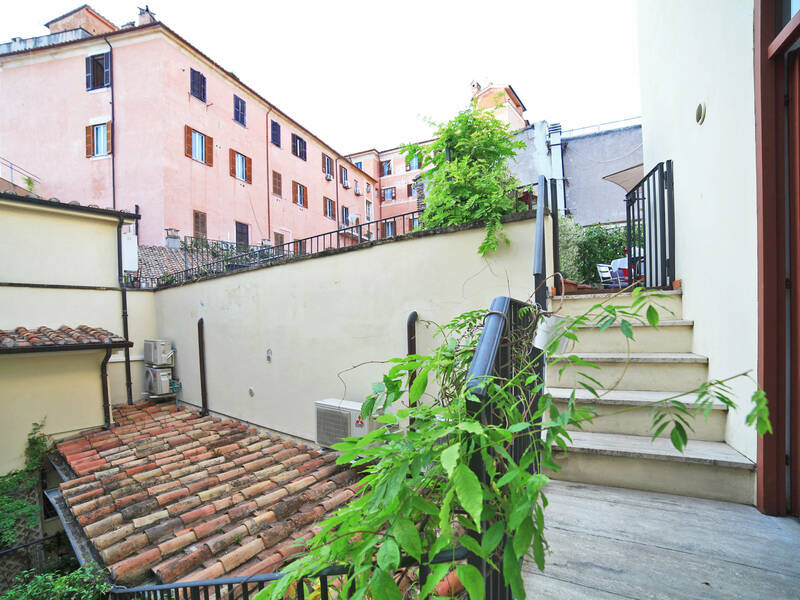 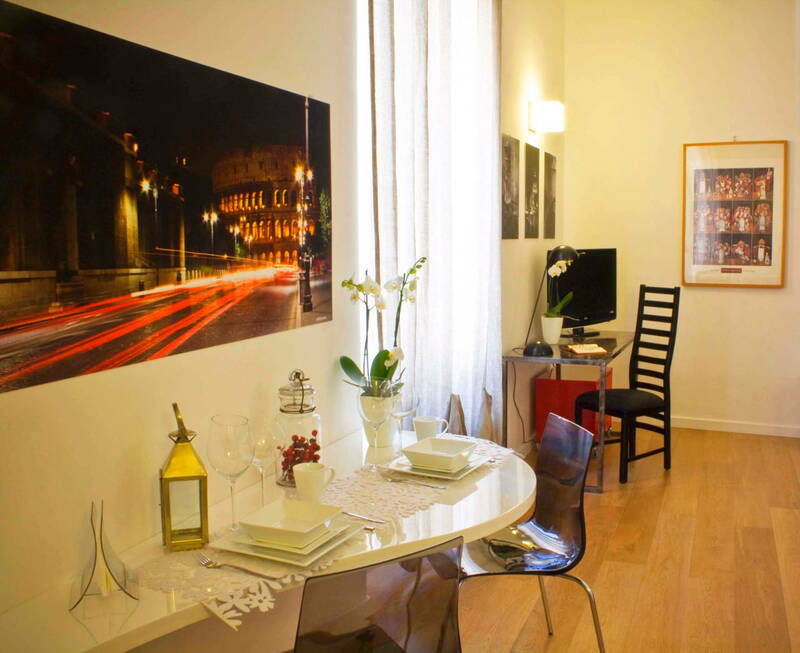 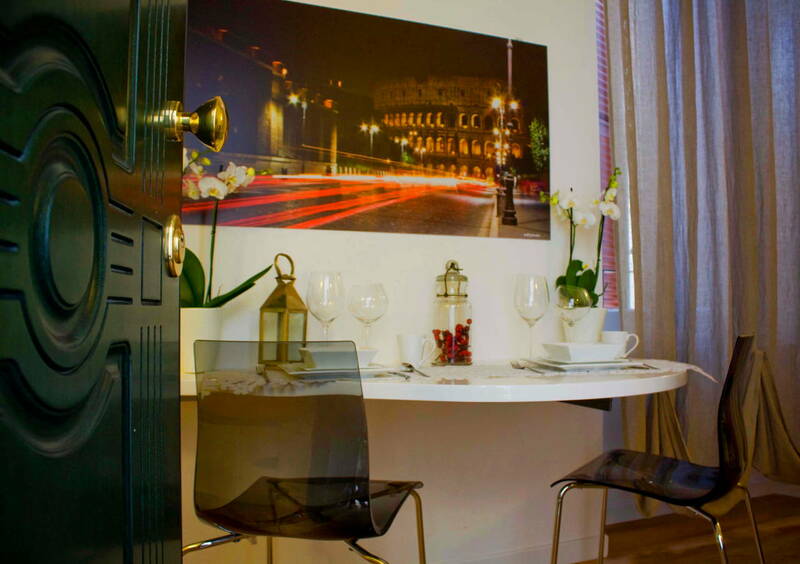 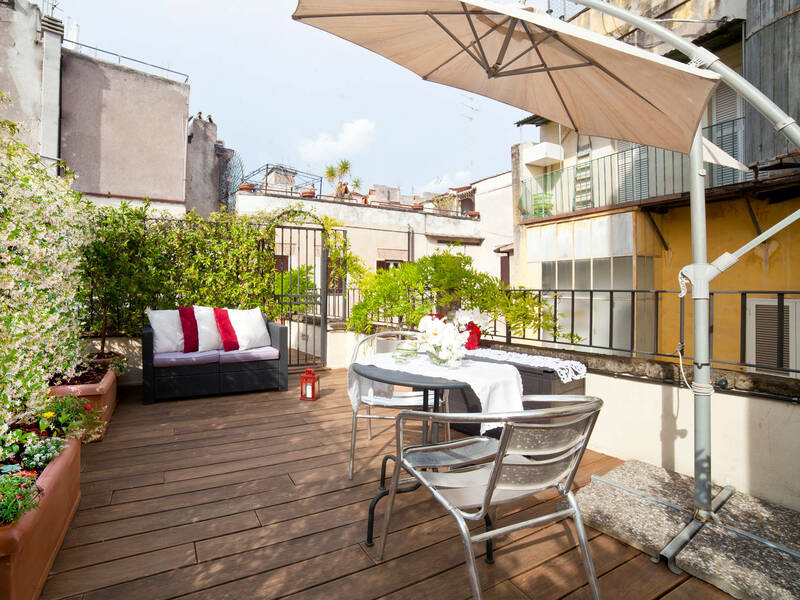 This luxury small Flat is set on a quaint street and located in the heart of downtown Rome, in the suggestive Rione Monti, close to the Colosseum. 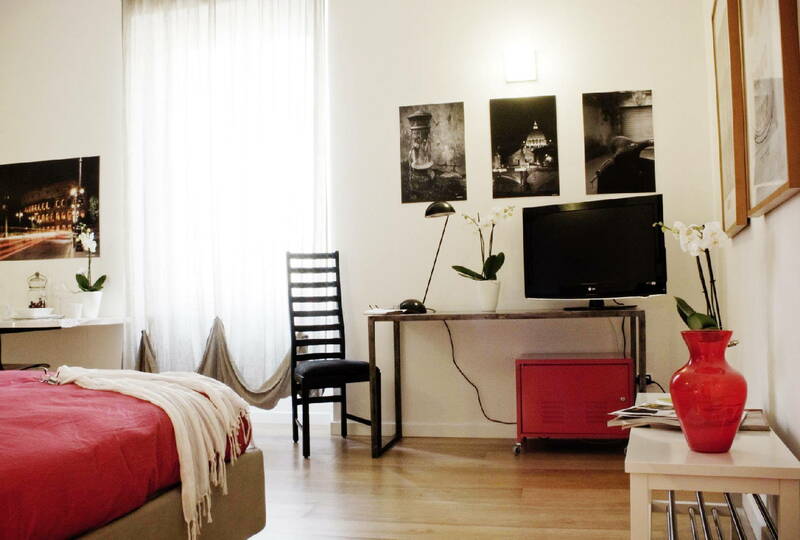 It comes finely furnished and composed of a large and bright bedroom with a king bed, a side kitchen equipped with full amenities; a comfortable bathroom with shower. 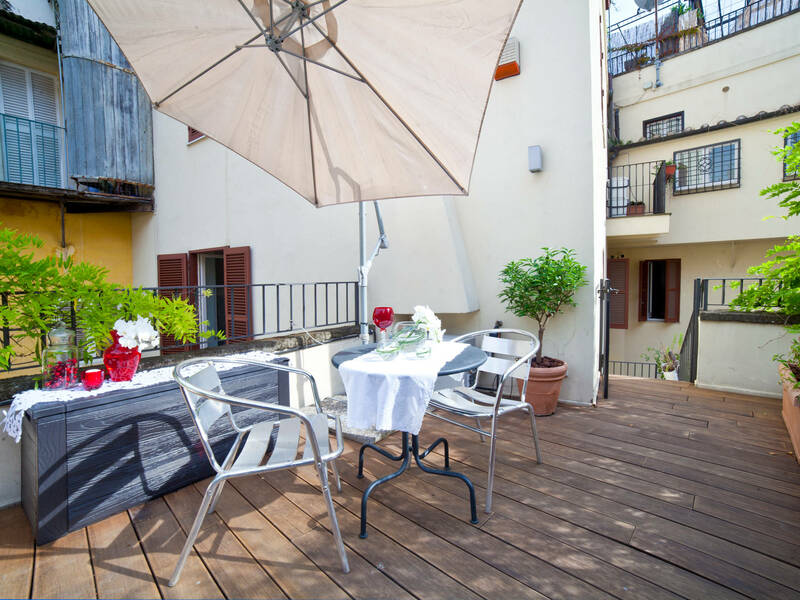 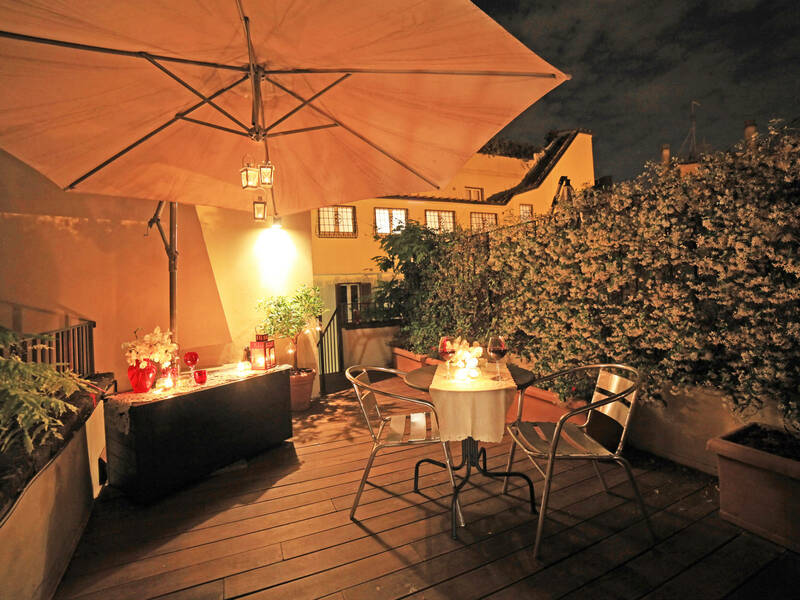 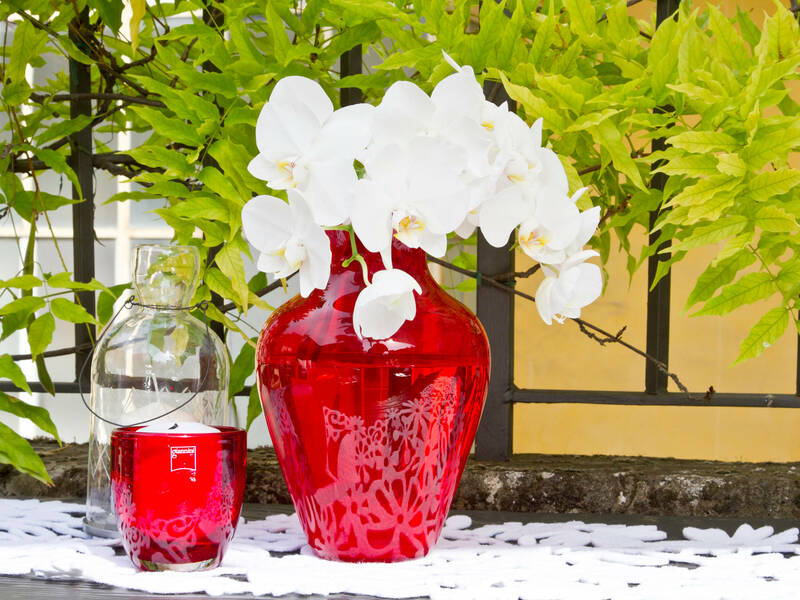 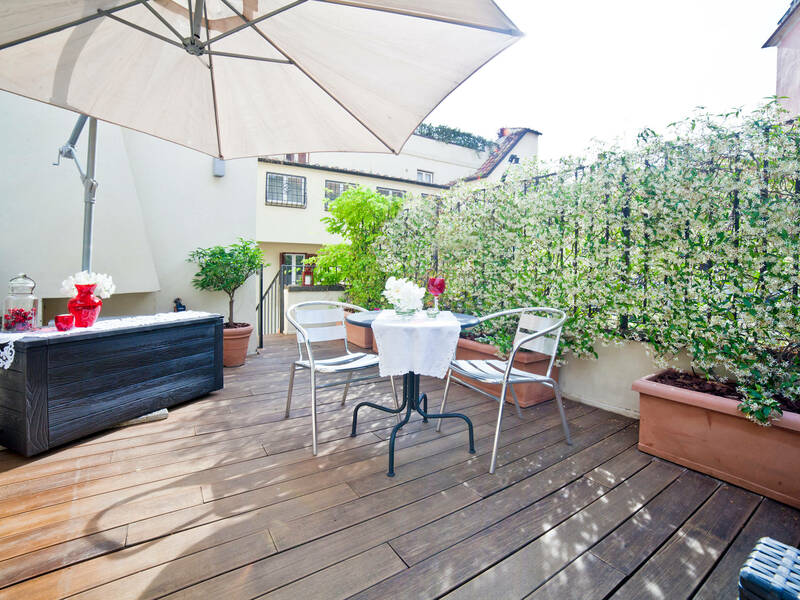 It is also enriched by the private 20 square meters balcony (exclusive feature in downtown Rome) that allows guests to relax appreciating the peaceful surroundings. 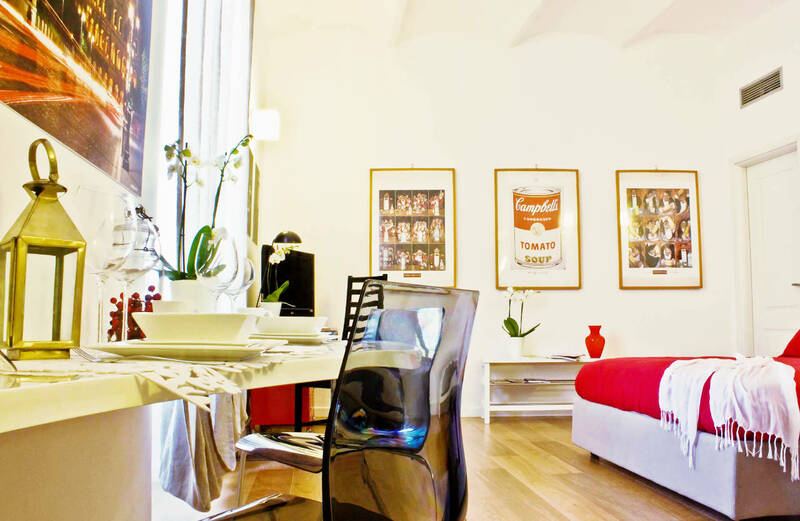 The room is provided with a wide desk, a 32’’ flat screen TV, a Wi-Fi internet connection and a cable radio system.